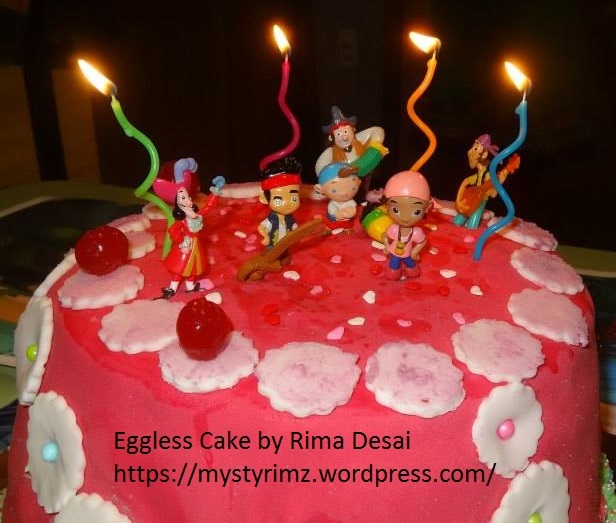 There are tons of eggless cake recipes online but there is one major problem with many of them – They are not uniform, different recipes can have so many different methods and ingredients that it can make us wonder which one to experiment. Trial and error is something I don’t enjoy while making cakes. Cakes don’t happen in a snip and a snap! Besides, many of those online recipes don’t give us the fluffly, airy, non-greasy texture we want our cakes to have. I must admit, I am no pro with icing and I just do what I can manage best with. 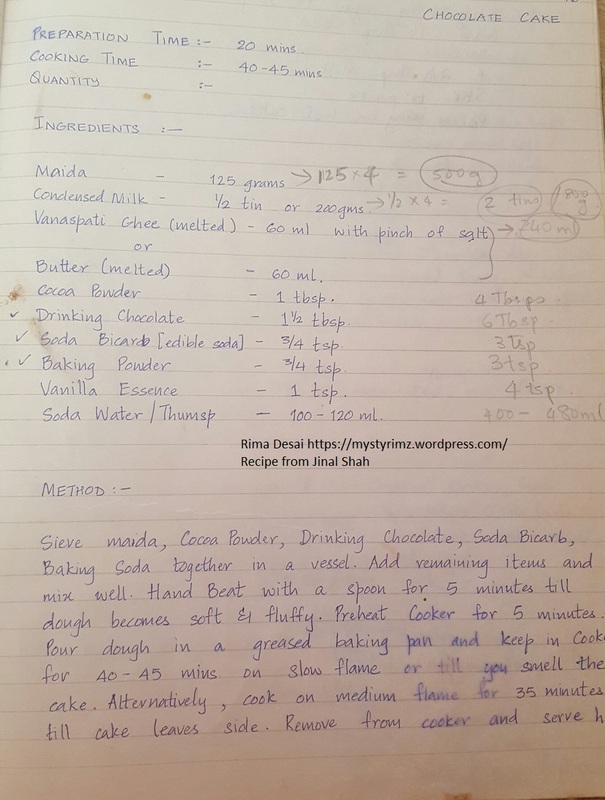 I am ready for a professional class for that but you can still use this recipe for a great sponge cake covered with grated chocolate, coconut flakes and basic icing. There is lot more to baking a cake perfectly and I don’t find myself having the space to list all of those small techniques here. 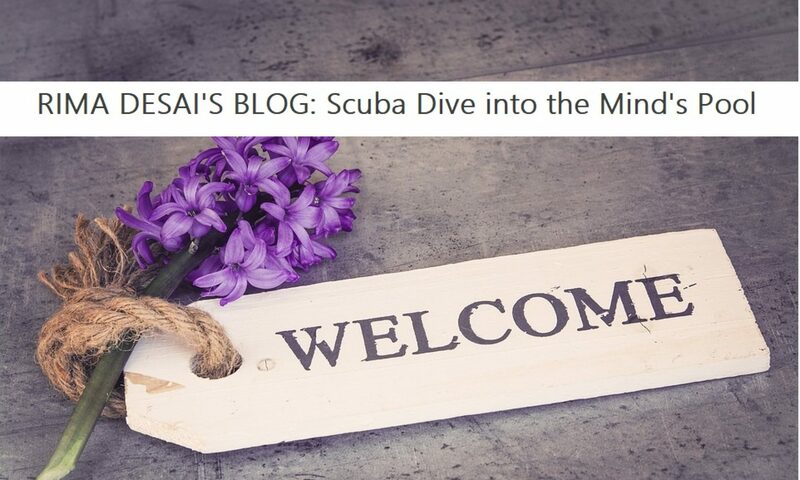 But this basic recipe should get you started right away! Maida is Self-Raising Flour. For baking in an oven, you will need to bake at 325 degrees for 25 to 50 minutes depending on the oven size and type and the quantity you are baking. I simply grease my pans with butter and spread flour on it, roll the flour on all sides and pour the batter. Haven’t used lining in years! This cake is a 3 layered cake with fondant on top of all the layer. I baked it for my daughter’s 4th Birthday along with purple icing cupcakes. The same recipe for cupcakes! You can see in the picture that the cherries were gone first!! L-O-L. The fondant layer should be thinner than the one in this picture. I will be uploading later, a picture of the sponge cake with just chocolate dressing on top, with no icing. It was the 5 kg cake I baked on my daughter’s 1st birthday and it was just as delicious. Previous PostPrevious Quick, Easy, Yummy and Healthy!